Welcome to Local Medical Waste Disposal, we are the local authority on Biohazard & Medical waste management. We are a group of small, privately owned and operated-full service transporters, servicing the Mid-Atlantic States. 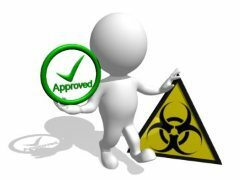 We have a proven track record; providing safe and cost-effective management of regulated Biohazard Medical Waste. While we specialize in the management, collection, transportation, treatment and disposal of medical and sharps/needle waste, we also provide services that include, but are not limited to, the sales of waste handling products, OSHA training and waste stream management/consulting services for a variety of customers in the health care industry. As a group we work every day, to provide our customers with an affordable, compliant waste disposal service, with no contract or hidden fees. Contact us today and we will direct you to one of our many associates on the East Coast.